When you’re looking for a new Lexus in Sarasota, you want to ensure that you’re getting the best deal possible. 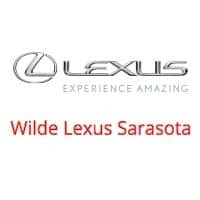 And when you rely on the new vehicle specials at Wilde Lexus Sarasota, you can be confident that you are. Thanks to our rotating Lexus deals, you can get behind the wheel of that new Lexus RX you’ve had your eye on for a price you can feel good about. Once you’ve browsed our online inventory, it’s time to meet your match in person! Visit our dealership near Lakewood Ranch to view our discounted Lexus in Sarasota – you won’t be disappointed. New 2019 ES 350 4DR Sedan AT. Model# 9000 - MSRP: $40,969. 36 month/10K mile/year leases. Offers include all applicable incentives. Includes $1,500 Lease Cash. Due at Signing includes down payment, first payment, $0 security deposit and $795 acquisition fee. Tax, title, license, $148 Private Tag Agency Fee/EFF and $799 dealer pre-delivery service fee extra (charges represent costs & profits to dealer for items such as inspecting, cleaning & adjusting vehicles and preparing documents related to the sale). Offers apply to well-qualified buyers and require approved credit through LFS with 720+ beacon score. Not all buyers will qualify. Offers not valid on previous purchases. In stock only. Residency restrictions apply. Dealer not responsible for typos or omissions. Offers end 4/30/19. New 2019 IS 300 4DR Sedan, 2WD. Model# 9502 - MSRP: $39,669. 36 month/10K mile/year leases. Offers include all applicable incentives. Includes $3,500 Lease Cash. Due at Signing includes down payment, first payment, $0 security deposit and $795 acquisition fee. Tax, title, license, $148 Private Tag Agency Fee/EFF and $799 dealer pre-delivery service fee extra (charges represent costs & profits to dealer for items such as inspecting, cleaning & adjusting vehicles and preparing documents related to the sale). 0% APR up to 60 months = $16.67/$1,000 borrowed on select new models. Offers apply to well-qualified buyers and require approved credit through LFS with 720+ beacon score. Not all buyers will qualify. Offers not valid on previous purchases. In stock only. Residency restrictions apply. Dealer not responsible for typos or omissions. Offers end 4/30/19. New 2019 RX 350 5DR SUV 2WD. Model# 9420 - MSRP: $46,479. 36 month/10K mile/year leases. Offers include all applicable incentives. Includes $2,500 Lease Cash. Due at Signing includes down payment, first payment, $0 security deposit and $795 acquisition fee. Tax, title, license, $148 Private Tag Agency Fee/EFF and $799 dealer pre-delivery service fee extra (charges represent costs & profits to dealer for items such as inspecting, cleaning & adjusting vehicles and preparing documents related to the sale). 1.9% APR up to 60 months = $17.48/$1,000 borrowed on select new models. Offers apply to well-qualified buyers and require approved credit through LFS with 720+ beacon score. Not all buyers will qualify. Offers not valid on previous purchases. In stock only. Residency restrictions apply. Dealer not responsible for typos or omissions. Offers end 4/30/19. New 2019 GX 460 5DR SUV 4WD. Model# 9700 - MSRP: $57,070. 36 month/10K mile/year leases. Offers include all applicable incentives. Includes $1,750 Lease Cash. Due at Signing includes down payment, first payment, $0 security deposit and $795 acquisition fee. Tax, title, license, $148 Private Tag Agency Fee/EFF and $799 dealer pre-delivery service fee extra (charges represent costs & profits to dealer for items such as inspecting, cleaning & adjusting vehicles and preparing documents related to the sale). 1.9% APR up to 60 months = $17.48/$1,000 borrowed on select new models. Offers apply to well-qualified buyers and require approved credit through LFS with 720+ beacon score. Not all buyers will qualify. Offers not valid on previous purchases. In stock only. Residency restrictions apply. Dealer not responsible for typos or omissions. Offers end 4/30/19.